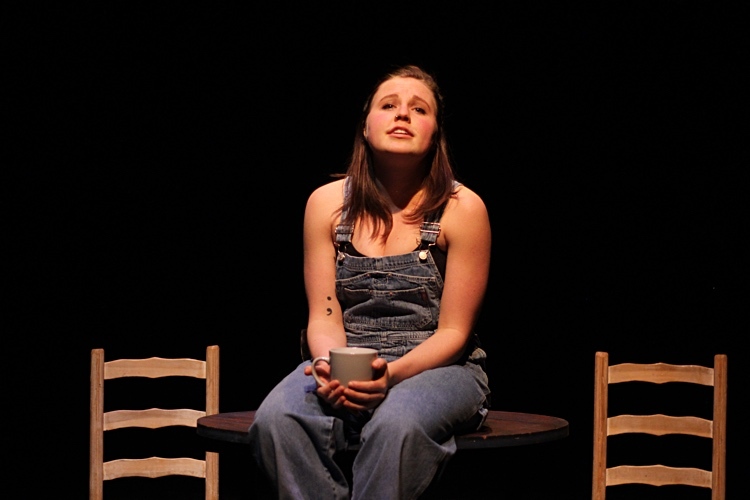 Sadie Epstein-Fine (Devised Theatre/Playwriting 2016) began her theatre career by Co-Directing Eraser at the Toronto Fringe with other York grads. Because of this show, Sadie became an associate artist with Theatre Direct, and is now developing Eraser for school audiences. She went on to work as the Education Coordinator at Theatre Direct, and is now working as the intern artistic director at Nightwood Theatre Company. 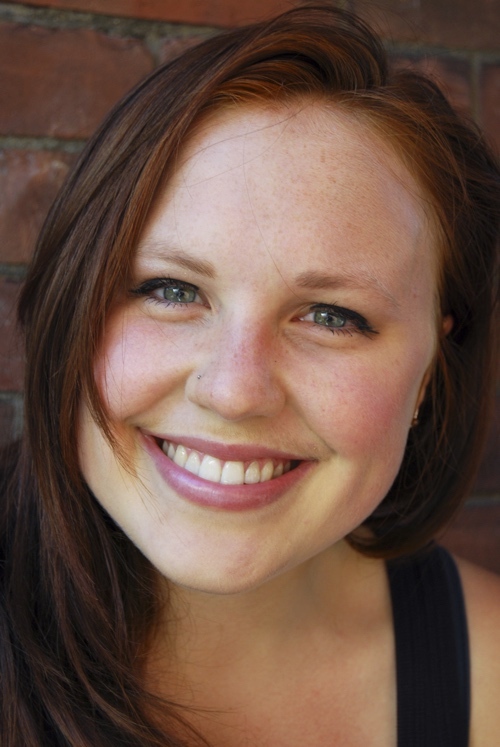 Sadie has been lucky to work with companies such as Canadian Stage, Buddies in Bad Times Theatre, Nightwood Theatre, and Theatre Panik, and with directors such as Kelly Thornton, Alistair Newton, Paul Lampert and Judith Thompson. Sadie is also the co-editor of Spawning Generations: Rants and Reflections on Growing Up with LGBTQ+ Parents published by Demeter Press in May of 2018. My fondest memory is creating and presenting our 4thyear DT piece, Scatological Humour. Our group was the inaugural Site-Specific show, and it was interesting to look for space on the York campus. We ended up being given the JGG change rooms, and turning that space into a theatrical venue was super fun and very challenging. We got to graffiti the walls (on paper of course), figure out how to light the space (with the help of lighting design student Cole Vincent) and make sure the audience could follow the story between the two rooms. The show was super political, and that was definitely the beginning of my political theatre career, which is ongoing. What did you do for the first summer out of the program? The first summer I got out of the program I created and presented Eraser with other York grads. That was the best thing I could have done because it launched my work out into the world and got people interested in my work. Take EVERY opportunity you can get. Now is the time to learn and try new things. Be curious. And join the Playground Festival. Sadie Epstein-Fine in her play To the Moon at Buddies in Bad Times 2014 Playground Festival, which she wrote and performed about having two moms. I have very similar advice as I do for new students. Say yes to everything. Don’t freak out. Breathe. Know that you have a lot to offer, but listen and learn what you don’t know from seasoned artists. Continue to be curious. Did connections, friendships, relationships you made at York help you afterwards? Yes! Absolutely! While I continue to meet and work with new people, I often fall back on colleagues I met at York. Since graduating, I have worked with actors, playwrights, designers, stage managers, and dramaturgs whose work I encountered at school. If I am asked by someone I work with at Nightwood or other Theatre companies to make a recommendation, I often recommend someone I worked with at York. I have also developed a professional relationship with Judith Rudakoff , who was my playwriting professor, and that is a relationship I continue to cherish as much as I did while I was her student. I came into York wanting to be an actor. During my first year, I worked with Devised Theatre students on a Playground show, and they really turned me on to DT. Over my time in DT and playwriting, as well as acting in a show at Buddies in Bad Times in my 3rdyear, I actually discovered that I was much better suited to be a director and playwright than as a performer. I am so grateful that the DT program allowed me to explore different areas of theatre until I found out where I truly felt comfortable and at home in my craft. I thought I was going to step into the business and run into artists who wouldn’t give me the time of day. At first, I was surprised by how lovely and welcoming so many artists were, and now I’ve come to expect it. Of course, there will always be artists (just like all kinds of people) who think they are better than others, but 99% of the time my interactions with artists are warm, thoughtful, intelligent and joyous.